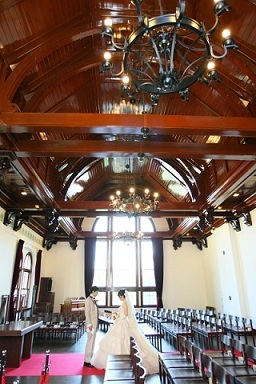 On 16th of October, there was a wedding ceremony at Byron Stone Clarke Memorial Hall. Bride, Ms Kaori and groom, Mr Yasuyoshi both graduated from Doshisya University. It was a warm wedding, which their families and their friends were invited. 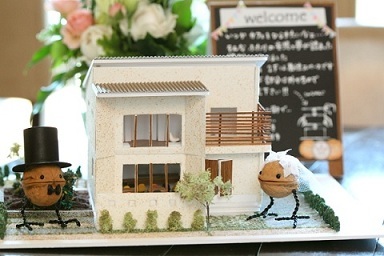 At the reception, the things which decorated the room like thanks for coming goods and gifts could tell us that the couple has a great sense of art. Thank you for always coming from Tokyo to Kyoto salon. It was my pleasure to meet you at the arrangements when I could see your smiles. Their dream is to open their own cafe. I really think that they could make their dream come true!